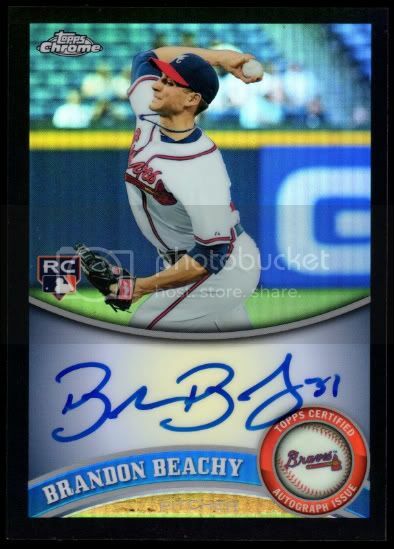 I need to purchase Brandon Beachy topps chrome black refractor auto /100. 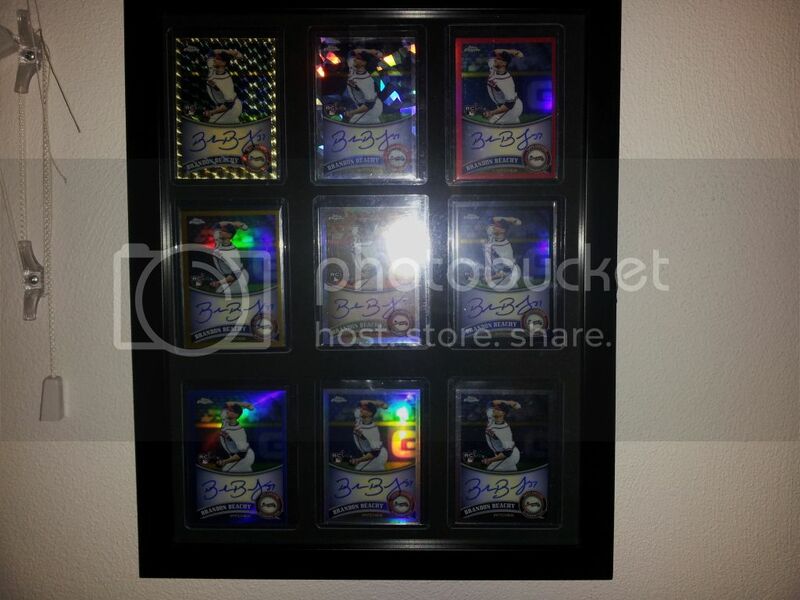 Ebay seems either over priced or all buy it now auctions. Pm me with offers please. If you collect someone and want to know if id have anything for trade of them just ask. Thanks! This is all i need complete the rainbow! Help! anyone want to help me out on this. got the atomic and regular ref i was looking for, just need the black now! TTT! Help!